Kathleen Haase, who developed her own petition to ask British Airways to stop selling trips to SeaWorld, has been volunteering for WDC, working with us on our anti-captivity campaigns. Here she provides some insighful thoughts on orcas in captivity and their right to freedom. “To be, or not to be, that is the question”, Shakespeare’s famous opening phrase for the play Hamlet wasn’t intended to make a case for the animal rights movement. However, it describes perfectly what is at stake with the concept known as ‘non-human personhood‘. Is every person a human being or are there perhaps persons that are not members of the human species? Whilst non-human personhood is still a controversial concept, scientists have discovered that some species on our planet qualify as being considered ‘non-human persons’ due to specific aspects of their brain functions. Some people now argue that great apes, elephants and some species of whales and dolphins fit the criteria for ‘personhood’. What then is a person? Generally speaking, a person is someone who is self-aware and intelligent, has a consciousness, thoughts and feelings, an ability to solve complex problems, and is able to initiate actions on his or her own volition. Studies of orca brains and their behaviour have revealed that they tick many of these boxes. Research suggests that orcas are capable of recognising themselves in the mirror which indicates that they have some sense of self as they recognise their own reflection. Mirror self-recognition may not be proof of self-awareness but it is a very good indicator of an individual having a concept of themselves. While the mirror test gives us no indication of what orcas think and feel, it does give us an indication that they do in fact have thoughts and feelings. Self-awareness is potentially one of the most important criteria for personhood. To be self-aware implies to have a concept of self. The French philosopher René Descartes wrote in his meditations that thinking is the essence of being. “I think therefore I am” is the conclusion he reached at the end of his investigations about what we can actually know. Self-awareness implies having knowledge. Having knowledge implies having thoughts and perceptions which constitute that knowledge. Accordingly, if orcas possess self-awareness as indicated by them passing the mirror test then it is probable that they also have knowledge of themselves and their environment, thus are likely to have thoughts about themselves and the world around them. Further studies of their social behaviour indicate that they indeed possess emotions, for example some scientists have pondered whether they grieve over the death of a family member. They also have individual dialects and are highly social and hierarchical animals who pass down their knowledge from generation to generation forming unique cultures between different social groups. 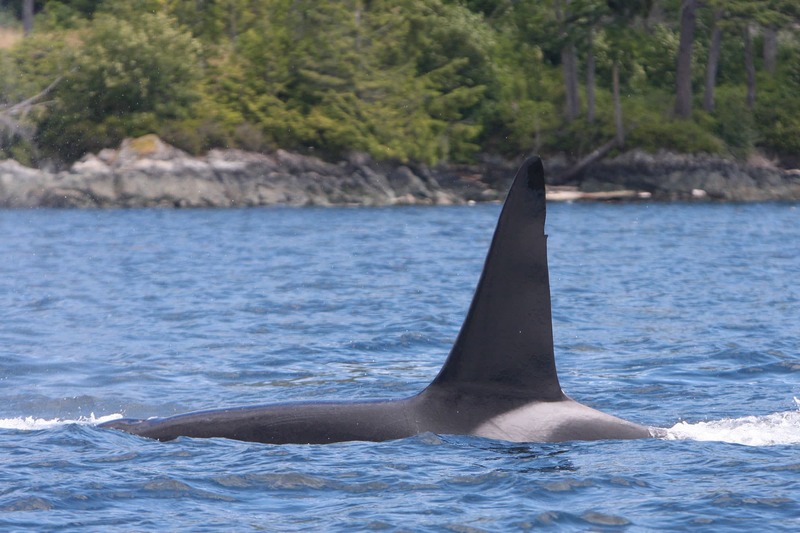 Studies of vocalisations have shown that each population of orcas has a distinct dialect that no other population uses. Considering the most recent scientific findings, how is it that orcas are not yet considered non-human persons? Imagine the consequences of declaring orcas as non-human persons with rights to life, freedom and non-interference. Captivity facilities with orcas, such as SeaWorld, would be forced to rehabilitate and release their orcas. Whalers would no longer be allowed to hunt them and even the whale watching industry might face stricter regulations to guarantee that they do not interfere with the lives of wild orcas. Alongside economic concerns, there are political reasons why countries may resist such social change. However, we need to ask ourselves whether we are justified in denying a species that is intelligent, socially complex and emotionally sophisticated such status just because of how that might affect us. There is evidence that orcas in captivity suffer physically and mentally from their confinement. Companies like SeaWorld might deny that and claim that all their orcas lead happy and healthy lives but the statistics of their 50 year history present a different image. Over the last 50 years SeaWorld has held 79 orcas in captivity. Twenty-nine of those are currently alive, including the ones living at Loro Parque, and 50 have died. The oldest of the deceased orcas was Kalina who was 25 years of age, yet around 92% of the orcas who died at SeaWorld did not manage to reach Kalina’s age. SeaWorld tries desperately to hide these statistics from the public to continue with their business. They call everyone who opposes their business an “animal rights extremist” as if that implies that we are all wrong and do not know what we are talking about. In reality, the concerns of the animal rights movement are supported by scientists who have studied these animals in the wild for decades and recognise the severe impacts captivity has on them. All of these are reasons why I started a petition asking British Airways (BA) to stop selling trips to SeaWorld. As SeaWorld have repeatedly stated that they will not change their orca policies, I felt that I had to do something to stop them from mistreating orcas by confining them in the name of entertainment. After a long struggle to get a response, BA have finally agreed to a meeting to discuss these issues. Many of the 251,907 supporters of my petition have voiced their dissatisfaction with SeaWorld’s orca treatment by calling it slavery, cruelty, abuse, and some even referenced orcas as non-human persons deserving of having their rights recognised as the reason for signing. Since BA have finally taken a step to engage with this issue due to public pressure, I am hopeful that other companies will follow and that, eventually, our society will come to recognise orcas and other species for what they really are: non-human persons with rights to life, freedom and non-interference.